Dental Implant Healing - How Long Do You Have to Wait? Dental implant healing has two aspects, depending on whether you're the patient or the dentist! Most patients are interested in how long it will take for the pain to go away and for the gum to heal up over the implant. But the dentist is MORE interested in how long it takes for the bone to heal against the sides of the implant. He wants the implant to become fused to the bone. For both of you, the answer is : IT DEPENDS ! NORMALLY, if there are NO complications, then the gum over a dental implant should heal up within about 10 days. Any discomfort or pain should also be pretty much gone in this time. The gum may still be a little red and perhaps puffy, but 90% of the SOFT TISSUE healing has occurred. Of course, the gum may still be a little tender if you poke it with a toothbrush! But the main part of the healing will be complete. You can ensure the best and quickest implant healing by keeping your implants as clean as possible. A great way to do this is by using products that effectively kill the bacteria that can cause problems. I think the best ones are from TheraBreath, and I recommend the Perio Therapy Kit. So much for the "soft tissues" of the gum over and around the top of the dental implant. Healing of the BONE around the dental implant is a whole different ballgame! It takes a lot longer for the BONE of your jaw to grow around the implant. Typically, it takes a minimum of about 3 months. Some implant systems may be a bit faster, but on average, about 3 months is the quickest you can expect. 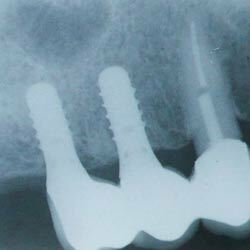 One of the main reasons for an implant to fail is putting the crown on it too soon. So it's better to be patient and give it plenty of time. After 3 months, the bone around the dental implant will be mostly fused to the implant surface. The bone cells grow right into the microscopic roughness of the implant surface. The implant becomes locked in. The dental term is osseointegration. How do you know when an implant has healed enough to take the new tooth? The simplest method appears rather unscientific, but in the hands of an experienced dentist, it is reasonably reliable. Basically, the dentist firmly taps the top of the implant with the handle of a metal dental instrument. If the implant has become fused to the bone, you should hear a clear metallic ring, like tapping a wineglass. If the implant has NOT become fused to the bone yet, the sound is dull, like tapping a big window. But the most reliable method uses some fancy science called "Resonant Frequency Analysis". This uses a small gadget that fits into the top of the implant, and a hand-held measuring device. It measures how the implant resonates or vibrates. It is like measuring that clear ringing sound you get from tapping a wine glass. What's great about this type of measuring tool is that you actually get a "number" that represents something. You can do this measurement every 4 weeks, and get proof that the implant is getting firmer and firmer in the bone. What things can slow down dental implant healing? There are a couple of things that might cause slower healing. Smoking. If you are a smoker, it's not just smoking right after the implant has been placed that matters. It's the smoking you've already done BEFORE the implant. 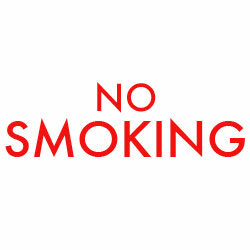 Smoking reduces the blood supply around the gums and jaw bone. Poorer blood supply means slower healing. Infection. If you had an infection in the area of the implant right before it was placed, it will take longer to heal. Medical conditions. Some medical conditions such as diabetes will mean that dental implant healing will be slower than normal. Plaque accumulation. Healing can be delayed by a build-up of dental plaque in the area that you had surgery. You should keep the area as clean as possible but also as gently as possible. No aggressive scrubbing! The best solution here is to use a good quality oral irrigator. The one I usually recommend is the Hydro Floss . It has a very gentle action, but is EXTREMELY good at shifting dental plaque. Just the thing to help the gum to heal over a dental implant. Read a review of this oral irrigator HERE. For BEST results, use the PerioTherapy mouthwash in the water tank! You should also use a sonic toothbrush with a high frequency - this will remove the plaque effectively without aggressive brushing. There are some implant companies that have invested a lot of time and research into how to speed up healing times. Astra Tech has been at the front of this research, with its OsseoSpeed implant coating. Things have come a long way since Professor Branemark's discovery of titanium dental implant healing. But the main limiting factor now is the human body and how it can heal. The fitter and healthier you are, the faster your implants are likely to heal!